Berto Salotti artisan production is a healthy choice. We offer the highest in quality craftsmanship and manufacturing. All of the items we produce are custom made by hand in our artisan laboratory. This allows us to manufacture custom models that comply with your particular needs and personal style. Handcrafted production is what we do best; however, it requires not only the use of the best materials and machinery, to achieve a high quality product, but also highly skilled personnel. We are proud of the fact that we have both employees and collaborators who have been working with us for decades. 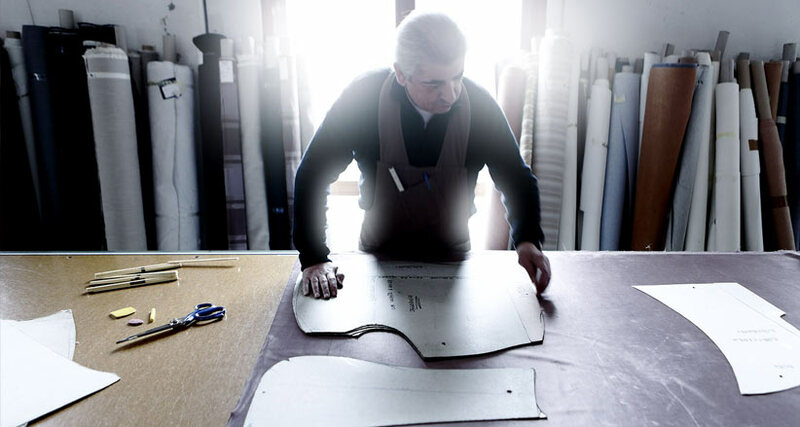 We share the same passion for upholstery; a historical craft activity, guided by tradition and well-known in the Brianza district of Italy and around the world, as being the best in the industry. As we have stated we are passionate about our work and it shows in the quality of the products we produce, to back up our claims of being the best in our field and having the best methods of production, each and every Berto Salotti product is accompanied by a PRODUCT QUALITY CARD made out to the client for whom it was manufactured. The QUALITY CARD includes a list of specifications, characteristics about the product and all essential maintenance information. When we build a sofa or an upholstered bed, we are aware of the fact that we are responsible for your family’s comfort and that of your guests. We are not only providing a comfortable place to relax but also providing a good night’s sleep, which contributes directly to your good health and general well-being. As a result of this sense of responsibility, the QUALITY CARD is signed by those who actually built the item; we believe it’s an opportunity for our employees to stand behind their work and for our clients to know that we are not only the best in the business but we are also a healthy choice.